Cape Town - Bulls coach Pote Human was puzzled by his team's performance after a 56-20 home loss to the Chiefs in Pretoria on Saturday. The Bulls had come off a bye week and had notched impressive wins over the Stormers, Lions and Sharks to start the season, but were outclassed in their first match against New Zealand opposition. 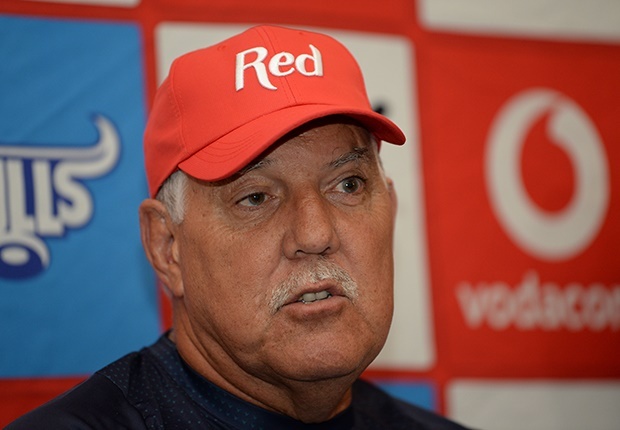 During the post-match press conference at Loftus Versfeld, Human hinted that he may have erred in giving his players time off during their bye week. "We didn't pitch at all, I think we were still in the bye," Human said. "But I put it on me. I gave the guys last week off and they looked as if they were still off. We have to dig deep and come back stronger next week. "From the kick-off, it looked as if the Chiefs were the ones who loved to play at Loftus. We struggled from the kick-off and were flat and they just had the energy we didn't have. They were good, give them credit. But we were very poor today and we allowed them to get on the right track again." The Bulls travel to Durban this weekend to tackle the Sharks and Human said he hoped the Chiefs loss was a wake-up call. "I really hope it is a blip. I know we are much better than this. We showed it in three of the first four games but this is a bad one to take and we have to take it on the chin and come back stronger next week."